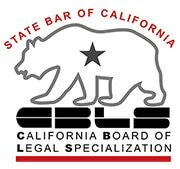 Nicole Aeschleman is a Certified Family Law Specialist, certified by the State Bar of California Board of Legal Specialities. Nicole has dedicated her legal career to the area of family law and has operated her own family law firm since June 2008. 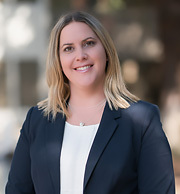 Nicole brings to every case her years of experience in a wide range of family law actions involving divorce, paternity, child custody and visitation, child and spousal support, and asset division. She is passionate about the practice of family law and is experienced in working with complex litigation cases. In complex financial cases, including asset division, support and breach of fiduciary duty cases, Nicole brings not only her legal experience, but also her business and finance experience. 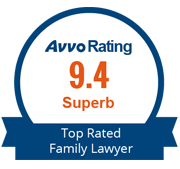 She has earned an impressive 9.4 rating and has been deemed a “Top Rated Family Lawyer” by AVVO, an industry-leading attorney rating and referral organization. It is particularly important to understand that an attorney cannot “buy”, influence, or enhance a ranking in any way. The rating Nicole has achieved is based on her Experience, Industry Recognition, and Professional Conduct. Click the image to review Nicole’s AVVO Profile. Nicole received an undergraduate degree in Finance, worked in Finance for several years, and also took a variety of business law classes while in law school. Nicole’s experience in family law has provided her with a good working relationship with experts frequently used in family law case, such as forensic accountants, business valuation specialists, custody evaluators, emergency screeners, reunification therapists, co-parent counselors, parenting coordinators, QDRO preparers, etc. Nicole is a graduate of Santa Clara University School of Law where she graduated at the top of her class. While in law school, Nicole served as an executive board member and senior articles editor of the Santa Clara Law Review and was a member of the executive board of the International Law Students’ Association. She also served as a research assistant, completed a judicial externship, and served as a law clerk. During law school, Nicole authored an article entitled “Vienna Convention on Consular Relations: Quo Vadis, America?” which was published in the Santa Clara Law Review in 2005. Nicole is also the graduate of the undergraduate program at Santa Clara University where she received two bachelor degrees: a Bachelor’s of Science in Commerce with a major in Finance and a minor in International Business and a Bachelor’s of Arts with a major in Spanish. Her academic honors include Phi Sigma Iota (Modern Languages Honors), the Hollace Pugh Service Award, and the Leadership Award. Nicole is conversant in Spanish. Nicole’s focus as an attorney is to understand each client’s needs and desires when entering the emotion-charged arena of divorce and paternity cases. She understands that the issues involved in these cases are critically important for clients as they involve their children and/or their financial well-being for years to come. Nicole chose this area of law because she understands that every client and every situation is unique, personal, and challenging in its own way. Each case requires a lawyer with a combination of sensitivity, civility, and aggressiveness, all characteristics that come to Nicole naturally, and characteristics that she has nurtured throughout her years in practice.